Artist Elizabeth Tyler: New video on youtube, sailing and painting. New video on youtube, sailing and painting. Although this video starts with clips of me solo sailing in Greece it is also about how I find inspiration for my paintings and some of the techniques I use. 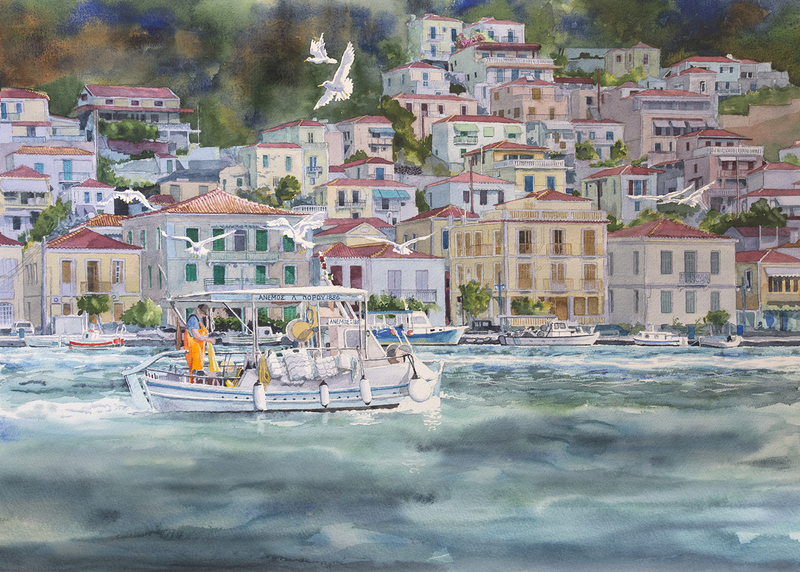 In this case it is a watercolour painted from my boat at a mooring off the island of Poros. Hope you enjoy it.